We look forward to all activities with enthusiasm but sometimes laundry day is not that appealing. The coming of laundry shops made life easier for those who are too lazy to wash their clothes. Not all people are that lazy because they would rather wash their own clothes to make sure it is properly handled. Of course the best care is to hand-wash it but it would be tiring and inconvenient. 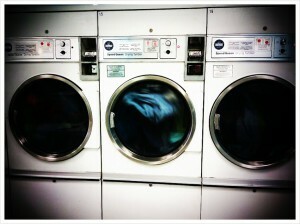 With the help of washing machines, laundry day is trouble-free. The first thing to do is sort unclean clothes into different piles: white clothes, dark clothes, light clothes and delicate clothes. If you see any stains, apply a prewash stain removal agent. Start the washing machine. If it is filled with water, gradually add the detergent powder and wait for it to dissolve. Start with your piles of clothes but remember not to overload it. 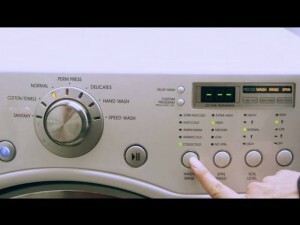 Overloading can damage the washer and at some point it can’t clean clothes well. Secure the cover and let it complete a full cycle. Put the rinsed clothes in the dryer. After that, set the heating system but if you are uncertain of the degree or setting, it is safe to put it in a low or medium temperature. Wait for the cycle to finish then you can take away your cleaned clothes to iron, hang and fold.